Automotive Stock. 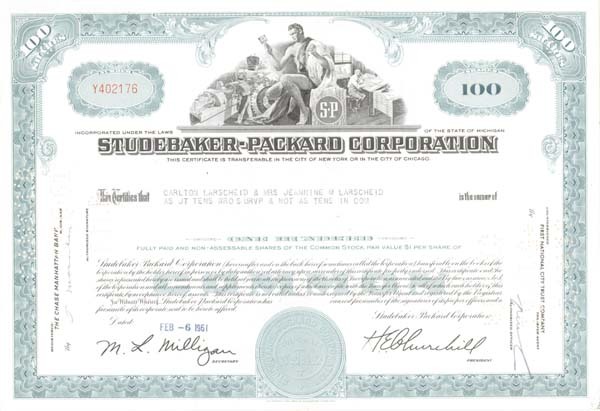 Same basic vignette used on the Studebaker stock but with 'S-P' logo in vignette. Important auto maker!!! Available in Brown or Aqua. Please specify color.